A fundamental goal of aircraft noise regulation is control of the prevalence of noise-induced annoyance in airport communities. A common regulatory strategy is to identify values of long­term, time-weighted average aircraft noise exposure that may not be exceeded in the vicinity of airports without certain consequences. Noise exposure per se is neither the sole cause nor a perfect predictor of the annoyance of aircraft noise, however. Regulatory limitation of noise levels to certain values of favored noise metrics may therefore provide the appearance, rather than the substance, of a solution to problems of community reaction to aircraft noise. Response bias, as identified by Green and Fidell (1991), is a factor that exerts about as much influence on the observed prevalence of annoyance in communities as cumulative noise exposure. The importance of formal consideration of response bias in assessments of the adequacy of regulatory enforcement levels is addressed. Non-acoustic factors in environmental noise can be broadly defined as all those factors other than noise level alone which contribute to noise annoyance and similar effects. 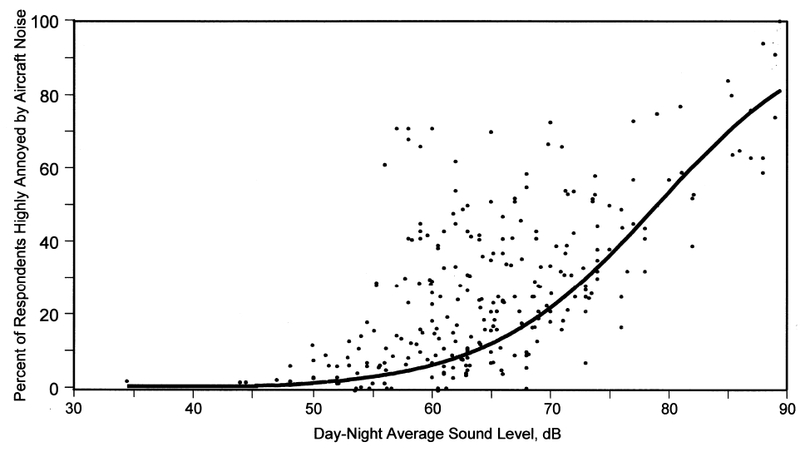 Noise levels such as LAeq provide a good indication of the amount of physical noise present, and changes in physical noise level can be expected to correlate with changes in resident's perception, at least to some degree. On the other hand, a flexible approach to noise management based on wide consultation and communication can be extremely important. 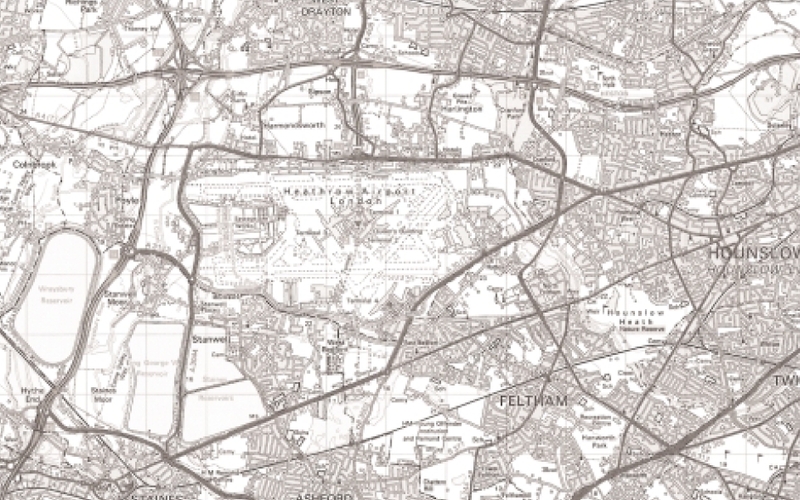 At Heathrow Airport over the last 20 to 30 years, overall aircraft noise levels have reduced because of the phasing out of the older noisier Chapter 2 aircraft types, but there are also other strategies in place which are clearly regarded as being effective both by airport management and by local community representatives and which are not as easily quantified in terms of noise level alone. 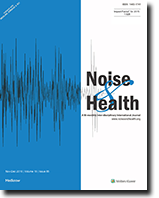 This paper describes the background to noise management at Heathrow in some detail and draws a general conclusion that taking non-acoustic factors into account in addition to physical noise levels alone has been of considerable benefit over the years. This paper starts with the fact that noise annoyance is partly due to acoustic factors, partly due to so-called moderating variables, i.e. personal and social aspects of the residents. 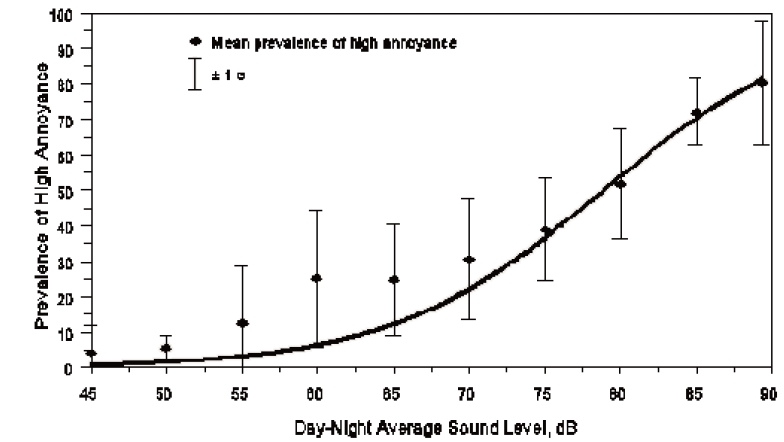 Noise annoyance is considered to be the (long-term) negative evaluation of living conditions with respect to noise. This evaluation is not simply dependent on past disturbances, but on attitudes and expectations, too. The personal factors influencing the evaluation and described here are: Sensitivity to noise, fear of harm connected with the source, personal evaluation of the source, and coping capacity with respect to noise. The social factors described here are: General (social) evaluation of the source, trust or misfeasance with source authorities, history of noise exposure, and expectations of residents. 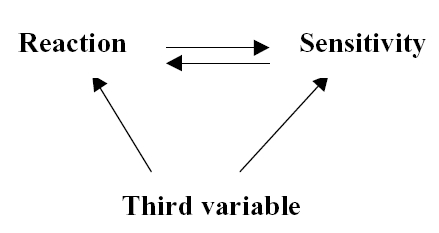 For most of these variables, data from different community studies are used in order to illustrate the respective moderating effect on annoyance. In addition, some of the moderators are presented as possible tools in order to reduce noise annoyance. It is expected that a significant decrease in a negatively moderating variable is as effective in reducing noise annoyance, as is a significant decrease in noise level. Noise annoyance is a phenomenon of 'mind and mood'. It is only partly determined by acoustic factors: typical noise metrics (LAeq and the like) allow only the prediction of aggregated annoyance scores (community levels) with moderate degree of precision. Many non-acoustic factors have been identified with varying degrees of association with annoyance. However, the proper identification and understanding of the role of non-acoustical factors can only be achieved on the basis of sound theories about rise and reduction of noise annoyance. This article discusses first the few systematic theories to understand the relative role of acoustic and non-acoustic factors. Then, it presents a theoretical perspective that places a major non­acoustic factor in the center: perceived control. It views noise annoyance as a form of psychological stress: disturbances may tax persons resources, and different people may use different ways of coping to deal with annoyance. The focus on perceived control also highlights that for residents exposed to environmental noise 'noise management at the source' often will be an equally important external stimulus to respond to as 'noise at the source'.